Pretty close to the opening of MOVIE INK. now, but I have to put in this entry first of some recent acquisitions. One of the more pleasing aspects of European movie posters is that the artist or studio responsible for the artwork often is credited on the poster. I like to know as much as possible about my posters and a known artist is an indispensable source of information. Not only can it shine a light on how a design is made, but it can also give insight in the possible meaning or idea the artist intended to convey. This is especially interesting for movie posters as these are intended to carry a commercial message. Anyway, yada yada yada, this entry is about some aspects concerning the importance of the artist: the era and person. To illustrate this my first recent acquisition. 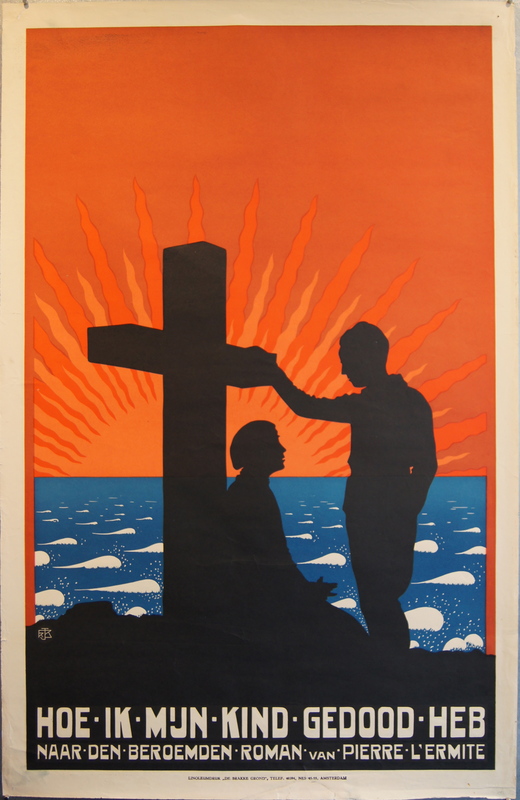 Comment j'ai tué mon enfant (1925), 25x39 "
Frans Bosen (1891-1949) is one of the first movie poster designers from The Netherlands. He started his career as an apprentice typographer, but he really wanted to be a illustrator. He took lessons at various art colleges and discovered his passion for linoleum etching. In the early twenties he was one of the first designers in The Netherlands that took up designing movie posters. In these early times both movies and movie posters were still young, but growing vigorously. For a young artist this gave numerous challenges. Colour printing was yet to be a dependable way of producing posters. So Bosen took to his passion of linoleum etching. He had a preference for strong colours with sharp, eye-catching, combinations. For each colour he cut a separate plate which then were printed on each other. Bosen also designed the typography of his posters. He mainly made posters for mainstream American and German movies, often basing his design on single stills from the picture. 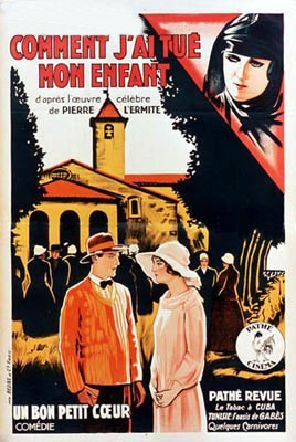 Comment j’ai tué mon enfant is not a well-known movie, made in France in 1925. In The Netherlands it had a run in six cinemas in 1925 and 1926. The dramatic title is a bit of a red herring. Apparently it is a dramatic comedy, but that certainly is not the theme Bosen went for. In stead he went for solace. Behind the dark figures and the crucifix we see the eternally flowing sea and a spectacular sunset to symbolize the circle of life. I especially love the details of the waves. Whether the design is representative for the movie I don’t know, but it makes a spectacular poster, very different from this French poster I found on the web. In the early twenties poster design was much more appreciated as an art in itself and not necessarily subordinate to the objective of selling a movie. From the thirties onwards this changed when cinema became the leading form of global entertainment. Designers needed to be more pragmatic. Few Dutch designers will have been as pragmatic as Frans Mettes (1908-1984) or indeed as prolific. Mettes’ career started in the early thirties. When he died in 1984 he must have made well over thousand posters, especially commercial posters. But he did not only do posters, he also made comics and other stuff, like book covers. Basically he did everything where he could use his skills as humorous illustrator. Mettes was very much a free artist, but also the advertisers dream. He loved to make commercial work. His trademark were posters with funny, simple characters based on the products and short tag lines. Certainly not a man for over-elaborating. 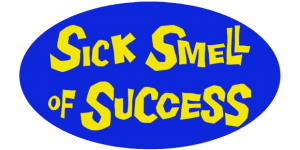 Maybe his love for effective, commercial design, made him a bit of an underrated artist in more arty circles in the past, but that has changed recently. 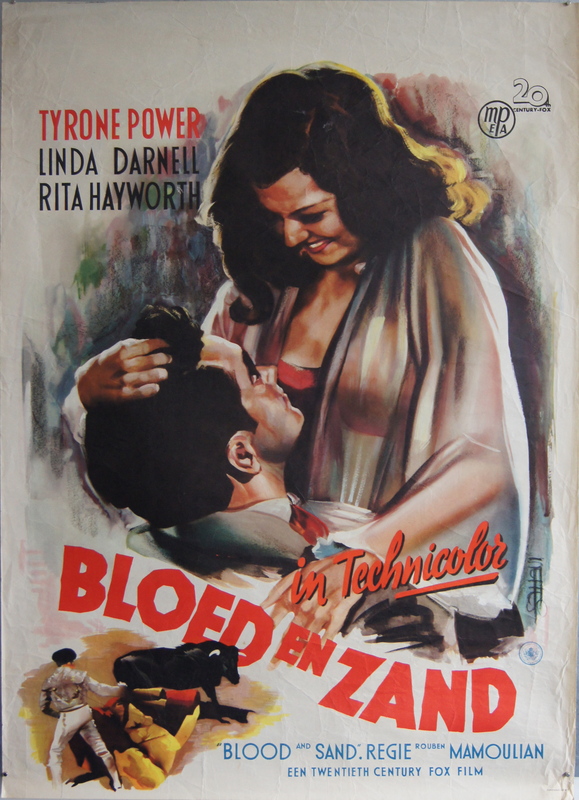 An example of effective design is this Dutch poster for BLOOD AND SAND probably from 1948. It is not his most creative work and in this respect representative of a lot of his movie posters shortly after World war II. A lot of movies distributed after World War II were titles made during the early forties. I can easily assume that it is not the most challenging assignment to make designs for “old” movies and as there were several foreign campaigns easily available no real need to be original. Obviously Mettes made good use of the existent US campaign and I think he showed his instincts for efficient commercial design. Blood And Sand - US 27x41"
Blood And Sand - US 14x36"
Mettes has picked up on this, so he uses the portrait as focal point. Not only does he do this, he also reverses the image switching Hayworth to the right and Power to the left. A subtle, but crucial change. In western culture we read and visualize from left to right and from top to bottom. Effectively the switch ensures that the focus is full on Hayworth now, high and to the right. This effect is enhanced by placing the bullfighting element to the bottom left and separating the two visual elements with the title. Here he uses the more pleasing and flowing letters from the one sheet. I have no idea if this is what Mettes had in mind, but I like to think it is an example of Mettes’ designing skills. 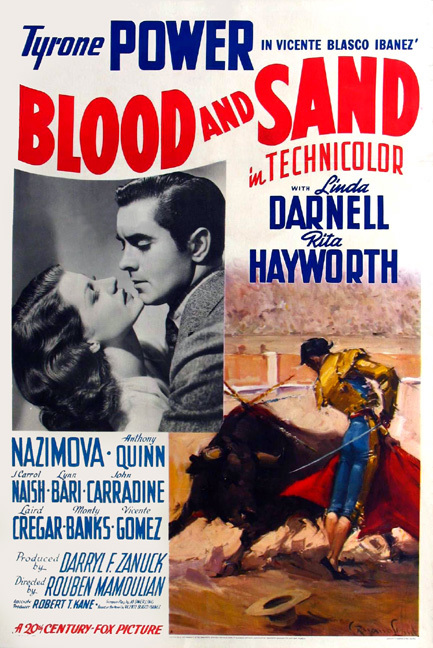 Blood And Sand - Dutch 33x46"
There is less doubt about the intent behind the design of my last two acquisitions. 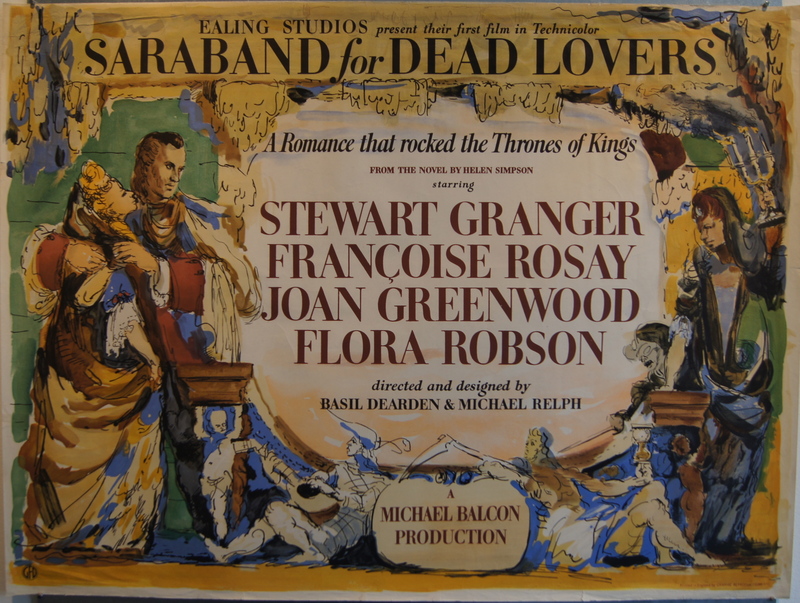 SARABAND FOR DEAD LOVERS was a prestige production for the British studio Ealing. Before Ealing was to become a household name for top notch British comedies, it had established itself during World War II making a string of movies in different genres. 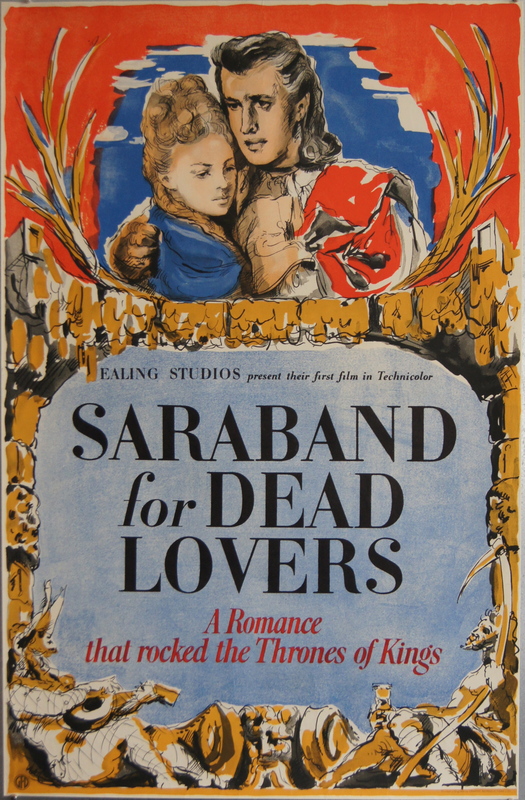 SARABAND FOR DEAD LOVERS was to be their signature picture for quality, their master work. It was their first picture in Technicolor and had a look as if it was dipped in gold leaf. [youtube=http://www.youtube.com/watch?v=WY77I7sEM6U] The poster campaign needed to bring the same message across. This picture was glossy, this was luscious, this was gold quality. 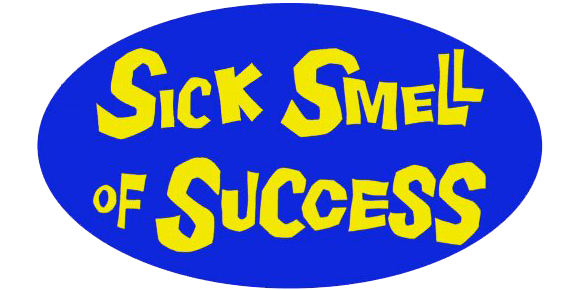 For this reason Robert Medley (1905-1994) was signed. Medley was not a usual choice. He was quite another kind of artist then for example the craftsmen Bosen and Mettes. No apprenticeships were in order. Medley was part of the elite. In fact, Medley was not a graphic designer by trade and rarely stepped out to this kind of assignment. 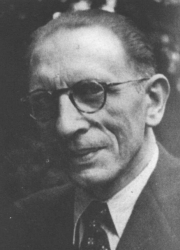 He was a recognized painter and artistic director of The Groupe Theatre. In 1986 he was elected to the Royal Academy. What I like about the posters he designed for this movie is that you can see he was not a regular graphic designer. Although he clearly stuck to his brief in regards to the gold leaf, the design are very sketchy, dramatic, in a word arty. Today a design like this would be described as a design for an art house movie. That was definitely not the ambition for SARABAND, which however did bomb spectacularly as if it was one… Beautiful and unusual posters though. Very happy to acquire both the quad and the double crown.